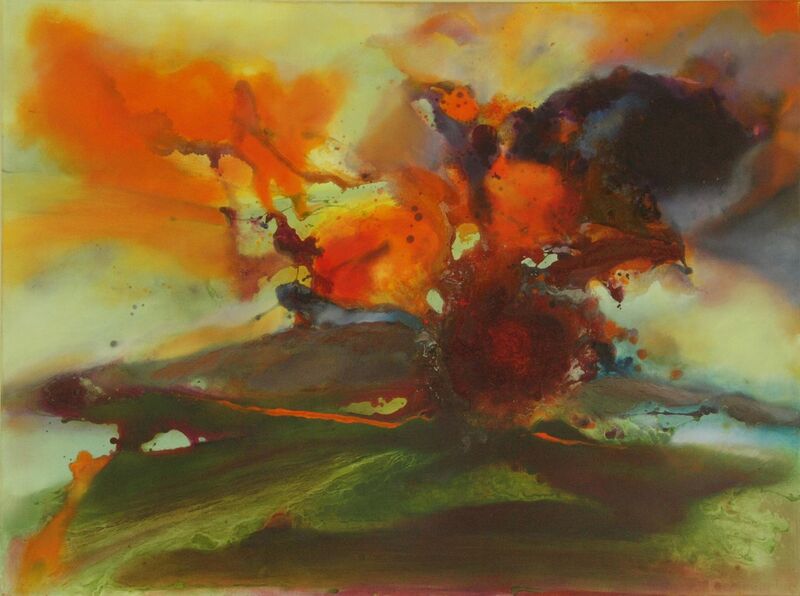 The Red Head Gallery is pleased to present our summer non-member exhibition Celestial Landscapes by artist, Ela Opas. Opas' work includes paintings of imaginary skyscapes and seascapes. Sun, water and air simultaneously create the essence of nature’s sublime scenery. Her body of work developed into a fusion of influences of abstract painters and resulted in mix media techniques and spontaneity. 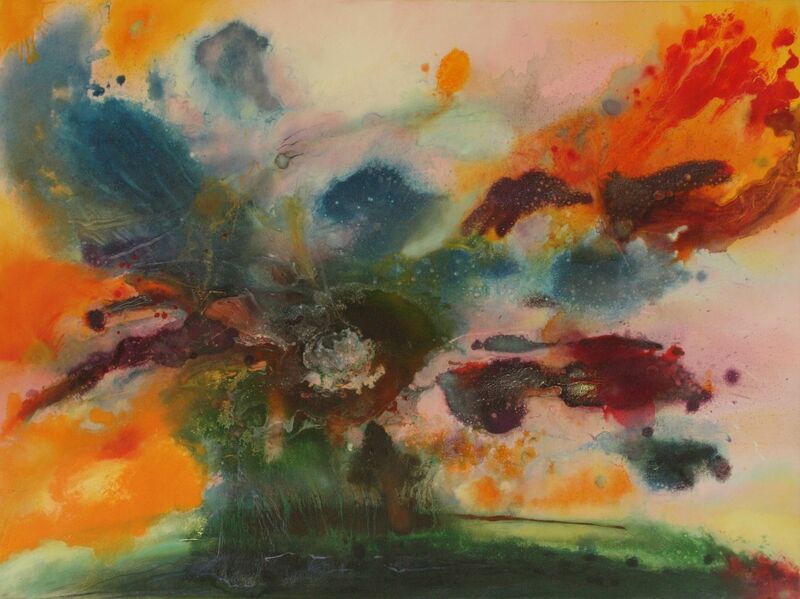 The emancipation of the soul and mind can be expressed through the unique qualities of colour and form, which are used in Opas' series of paintings called The Transitional Spaces. She believes in the power of energy and its projection upon the mind and body. Colour is her passion, as it is a medium through which she can channel energy and bestow it upon those who are in deprivation of it. 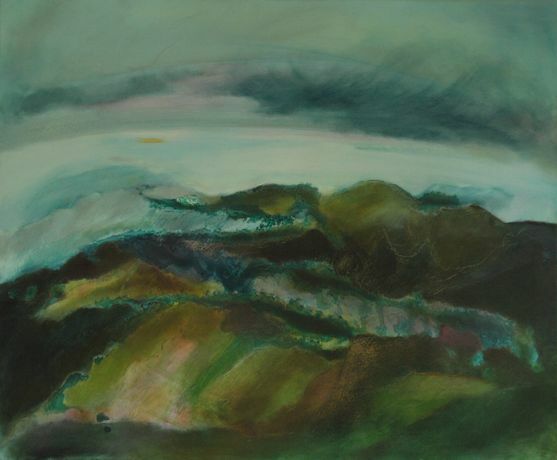 Opas is interested in exploring issues such as the disconnection between man and nature, the separation and abuse of city life upon the natural world. She hopes that the use of colour will allow for the sharing of energy and light amongst the people of the global community, uniting humanity in a network of inspiration and power. Her works reach beyond panoramic views and open the space by constructing unique landscapes with new meanings. They bring to the mind of the viewer countless possibilities, freedom and self-determination. 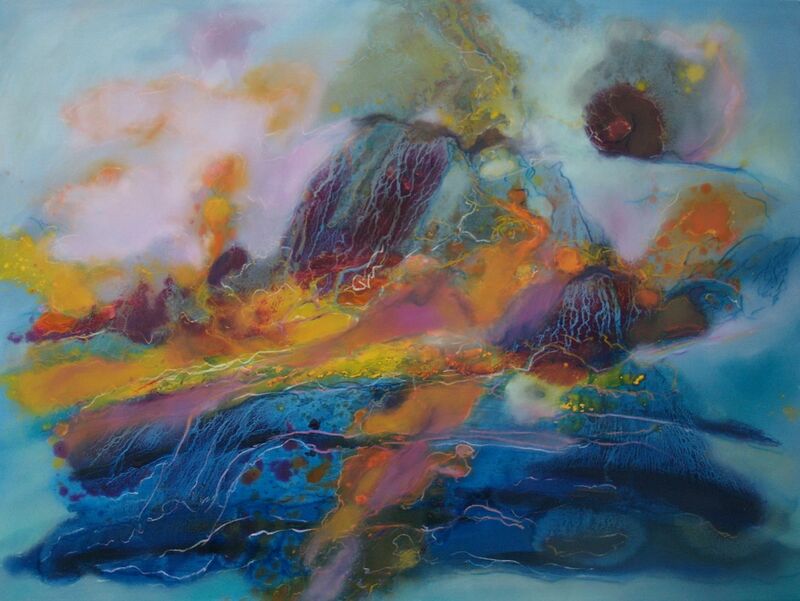 Ela Opas, is an artist working mostly in traditional painting media. She earned her Bachelor of Fine Arts in Painting & Drawing from OCAD University in Toronto, Canada. In her concluding year, she studied at the OCADU Florence Program in Italy with an emphasis on “Studies in Italian Art History”. In her thesis, she explored sacred spaces in modern Italy and their significance in the life of the contemporary man. In her works she commented on the relation between sacred architecture, music and spirituality and its influence on today's society. In her series of Duomo paintings, Ela refers to the idealistic architectural thought behind the constructed spaces of ecclesiastical buildings. By investigating the ideas of philosophers and mathematicians envisioned in architectural design, she evokes the lost spirituality of man based on universal harmony. After the final show in Florence, she took part in exhibitions in Italy, Germany and Canada. Her latest works resulted in mixed media techniques, spontaneity, exploration, and the search for sublime. She participated in X Florence Biennale "Art and the Polis" and recently in Pro Biennale in Venice, Biennale di Genova and XI Florence Biennale ”eARTh Creativity & Sustainability".